Savor The Days: Go Stars! 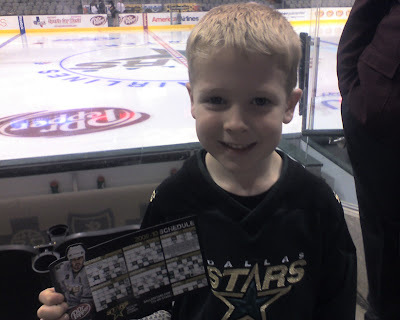 Nicholas got to watch the Dallas Stars play the Tampa Bay Lightning tonight. We won, 4-3. GO STARS!!! !